Pittsburgh-based stoner/doom metal band Horehound celebrates the release of its sophomore album with a special show at Brillobox. 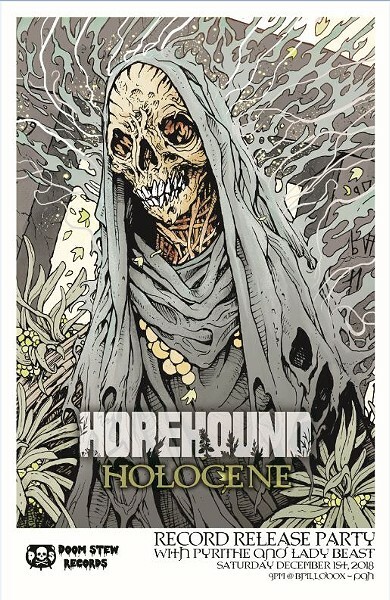 Two years after their self-titled debut, Horehound return with Holocene, a six-track album with lyrics by vocalist Shy Kennedy. The band describes it as maintaining “the original Horehound-heavy” while being “driven into deeper depths of dark, hardened post-doom metal.” The release show includes performances by fellow metalheads Lady Beast and the experimental sludge sounds of Pyrithe.